Where do I start with this book?! 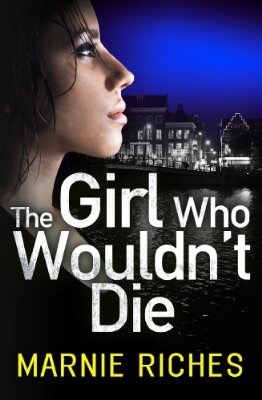 The Girl Who Wouldn’t Die is the first in a series following Georgina McKenzie based in Amsterdam. George is a Cambridge University student on an exchange in the city. When a bomb explodes at her university she can’t help but get involved, dragging her friend Ad along with her. After George meets Inspector Van den Bergen, he enlists her help as she writes a blog and he thinks it’s a good way to reach the suspects. Soon they realise that the bomb was a person, in George’s class. When another bomb goes off and the bomb is another student the race to find the perpetrator begins. I don’t want to go too much further in the plot here as there was an OMG moment for me just over halfway through and I don’t want to spoil that for anyone. I was actually annoyed at myself that I didn’t put the pieces together before it happened!!!! Then again, that’s ha,f the fun, working backwards to see what you may have missed! I downloaded The Girl Who Wouldn’t Die when it came out as so many fellow book bloggers had been talking about it and I’m so glad I did! I’ve also got book 2 on my kindle, The Girl Who Broke The Rules aaaaaaand I’ve totally preordered book 3, The Girl Who Walked In The Shadows!